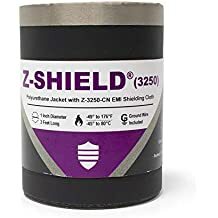 Insuflect 650 - Thermal Management Sleeving And Jackets - Thermal Management - Products - ZT | Zippertubing Co.
2.0" 2.5" 3.0" 3.5" 4.0" 4.5" 5.0"
Insuflect® is a composite heat-shielding product developed to be installed directly onto Diesel exhaust systems as part of the new “Clean Diesel Technology.” Insuflect® holds the heat within the system while Urea is injected to an exhaust reaction chamber resulting in an environmentally clean-burning Diesel engine. Insuflect® can also be used to protect sensitive components that may be located in close proximity to high-temperature exhaust systems. This product is specifically designed for operational continuous temperatures up to 1,202°F (650°C) temperature range. The material layers of Insuflect® are joined using Kevlar/Stainless Steel thread. This product is to be wrapped around a heat source and closes using Stainless Steel snap buttons. 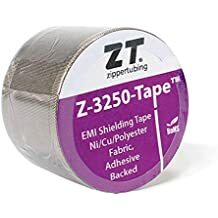 Zippertubing is a leading manufacturer of thermal protection sleeves and jackets that provide a heat barrier designed to protect wiring, hoses, pipes or a variety of other components from radiant heat sources. We have the ability to produce custom shapes using a variety of heat-reflective materials. Cable Diameter 2.0" 2.5" 3.0" 3.5" 4.0" 4.5" 5.0"